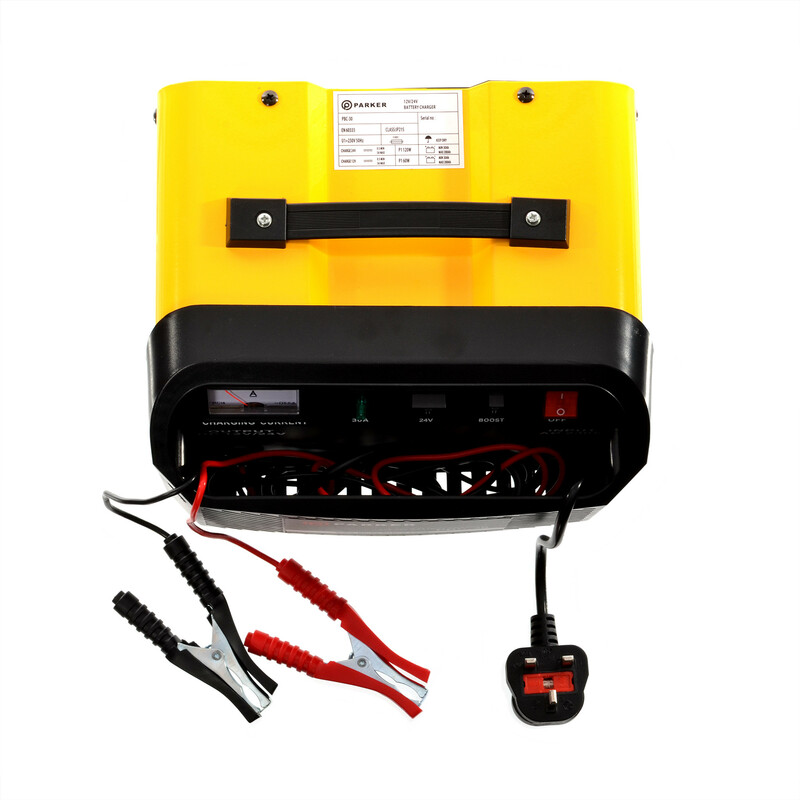 Our brand new 12/24V 10A Portable Battery Charger is perfect for use in a garage, or to carry around in your vehicle to get you out of a sticky situation. 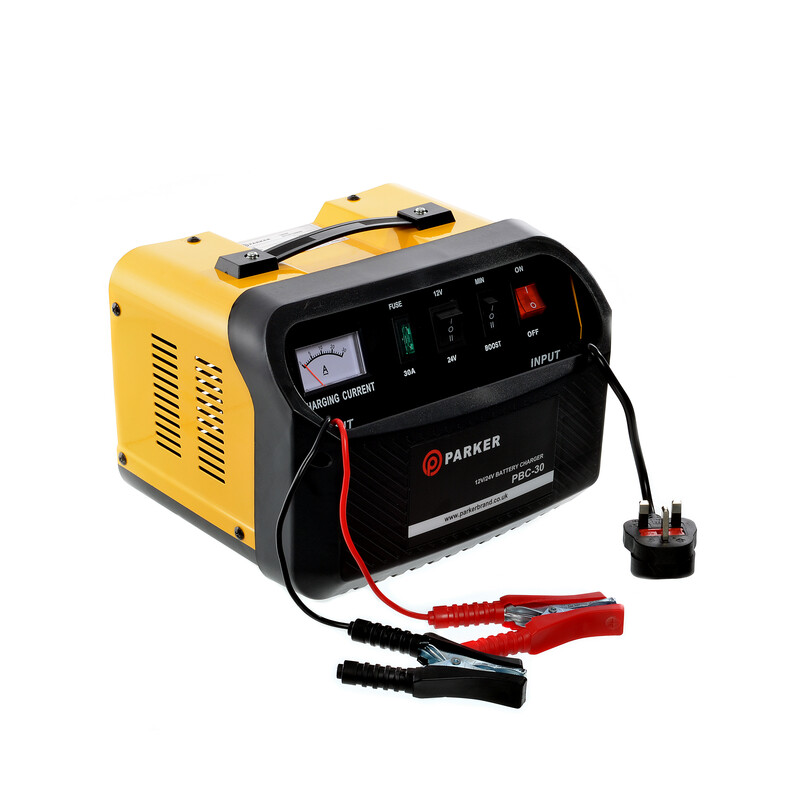 With both normal and quick charging capabilities, it’s a versatile tool for when a battery needs charging. 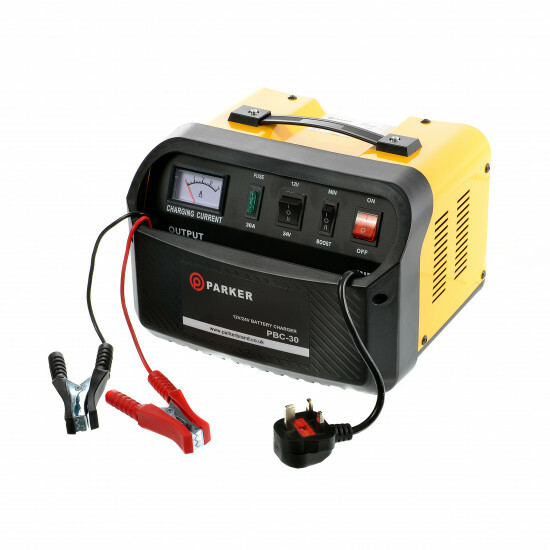 It’s incredibly easy to use, with just some simple switches on the front of the unit. 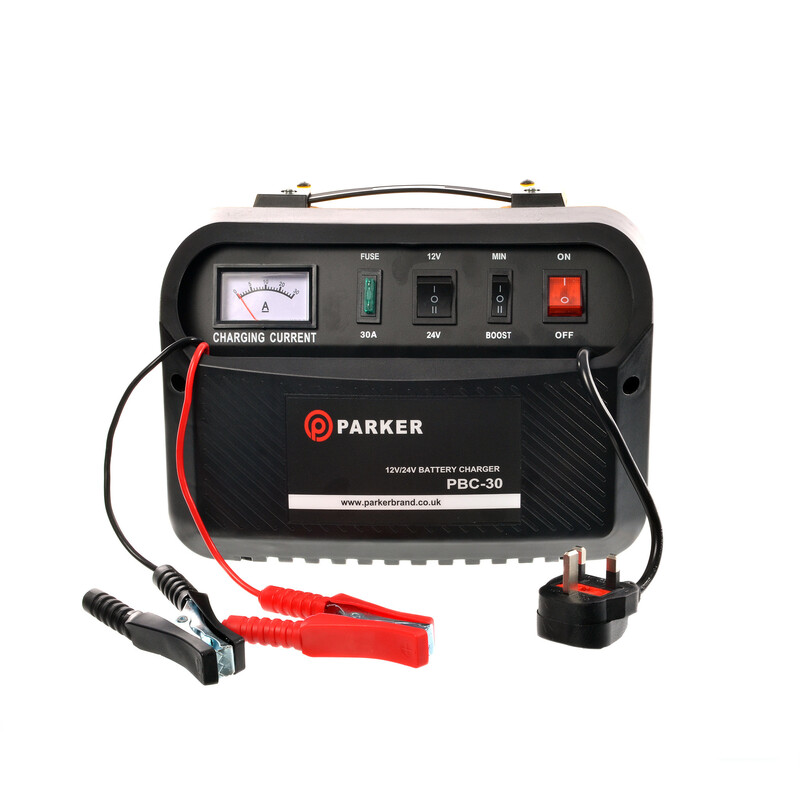 Not only can it charge your battery rapidly, it can do so safely and securely with overload and polarity reversal protection, to ensure your equipment is not damaged whilst charging. 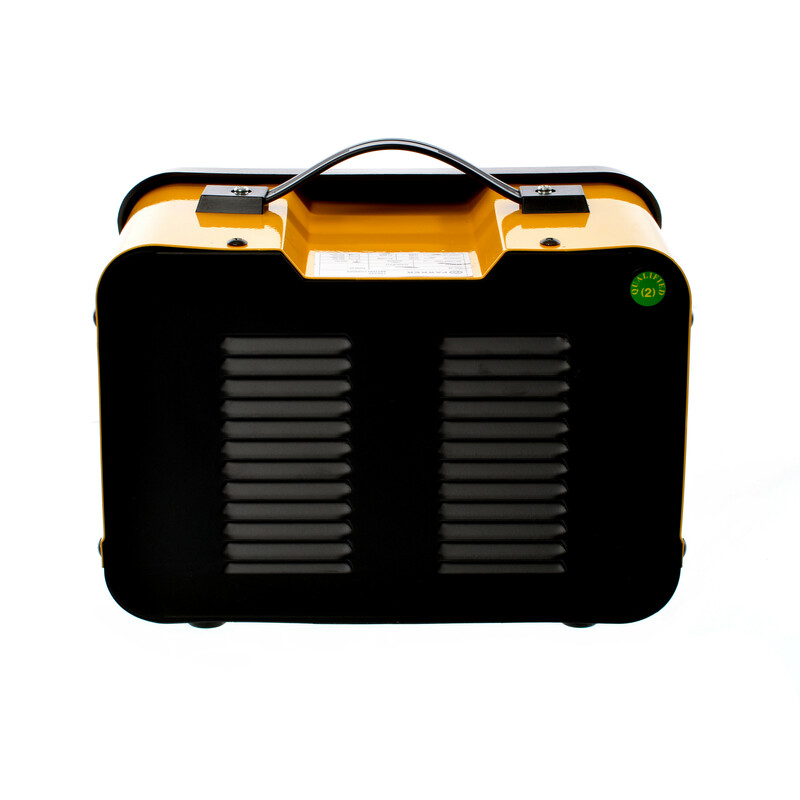 The charger was designed with portability in mind, so it is lightweight and easy to carry, with a sturdy handle and cable storage slot in the front of the unit.